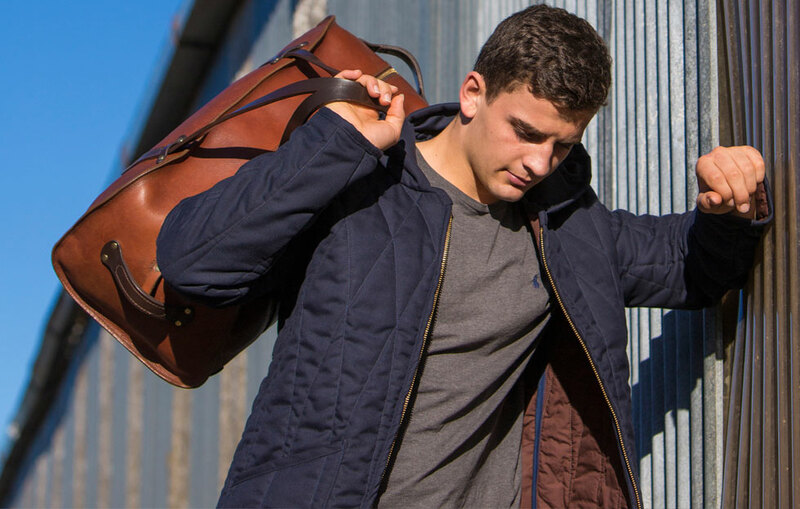 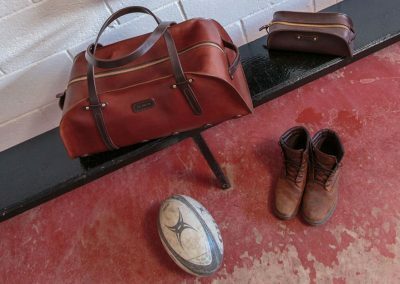 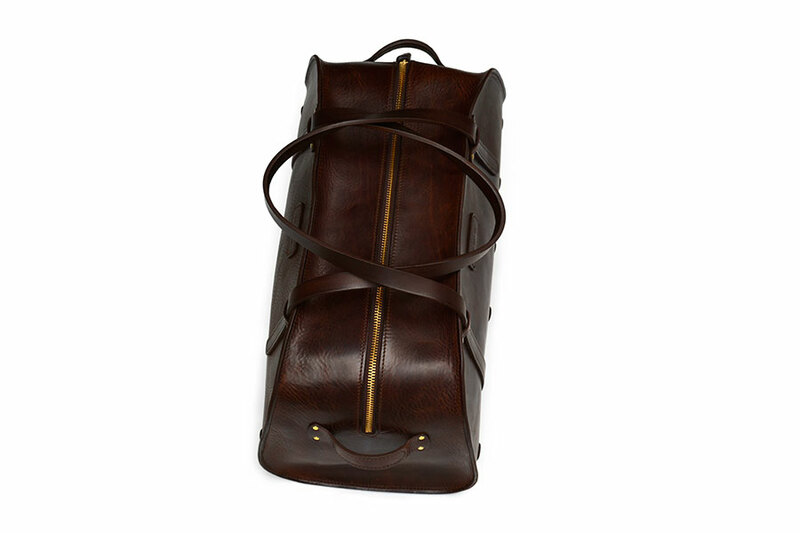 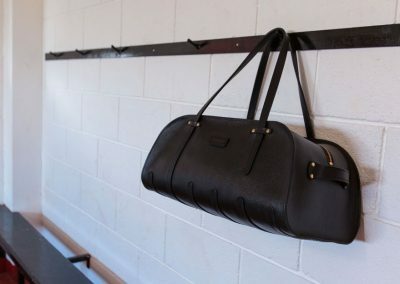 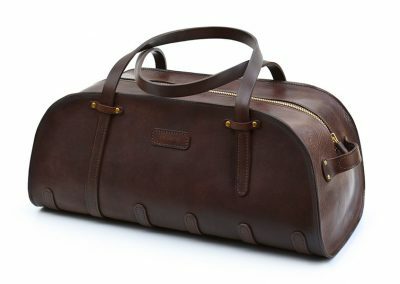 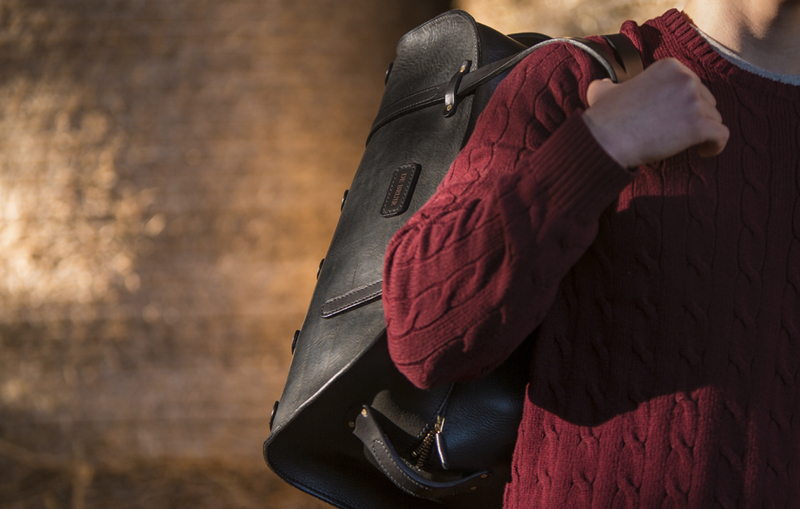 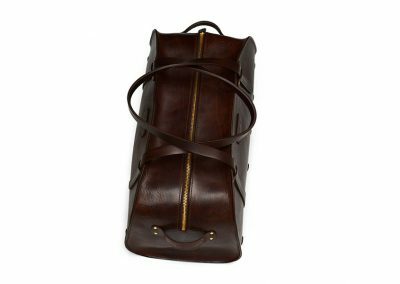 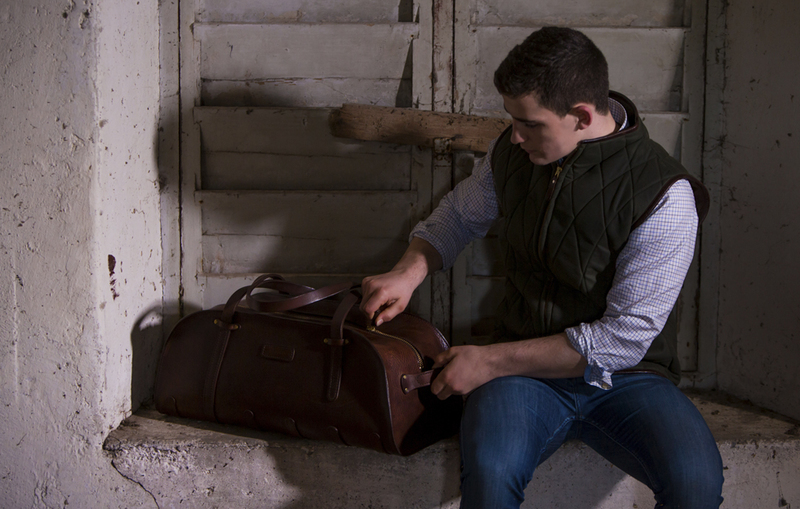 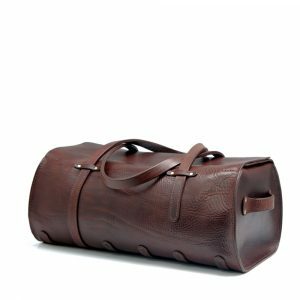 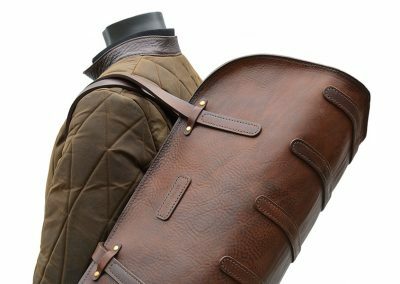 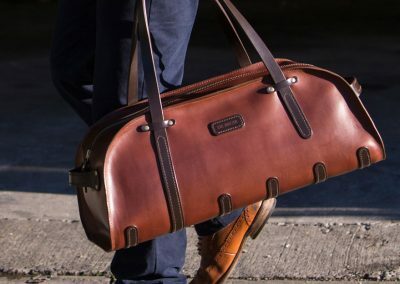 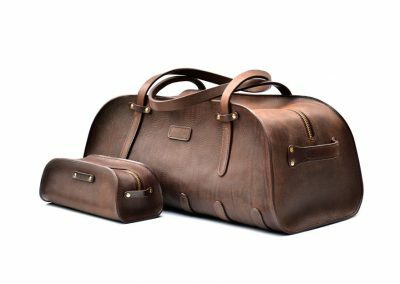 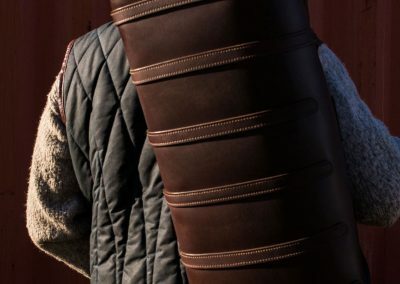 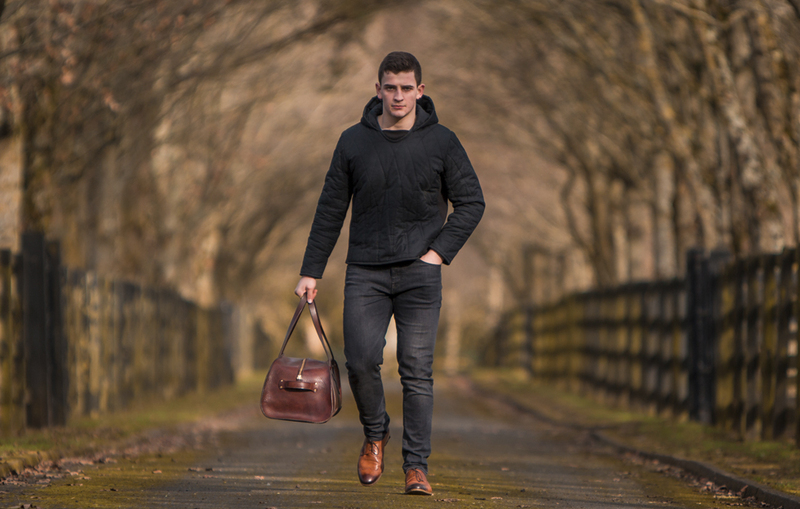 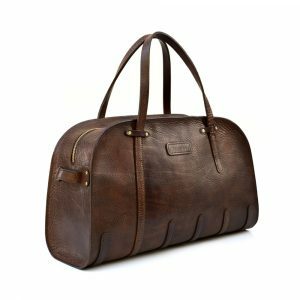 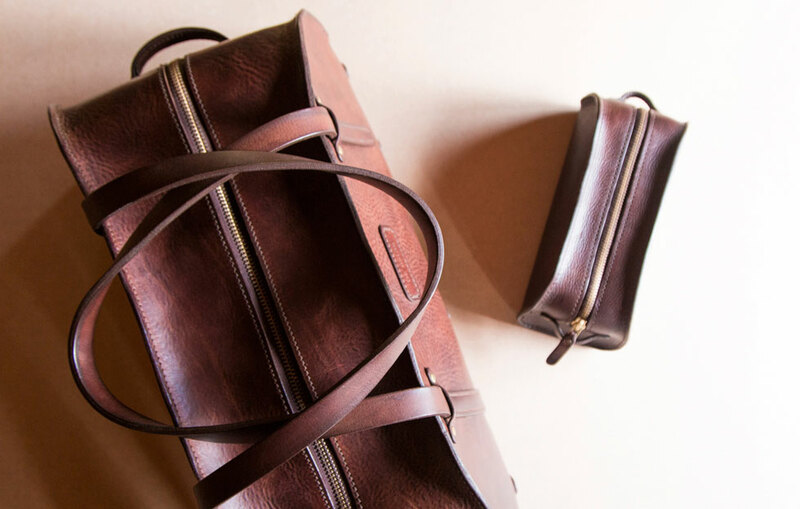 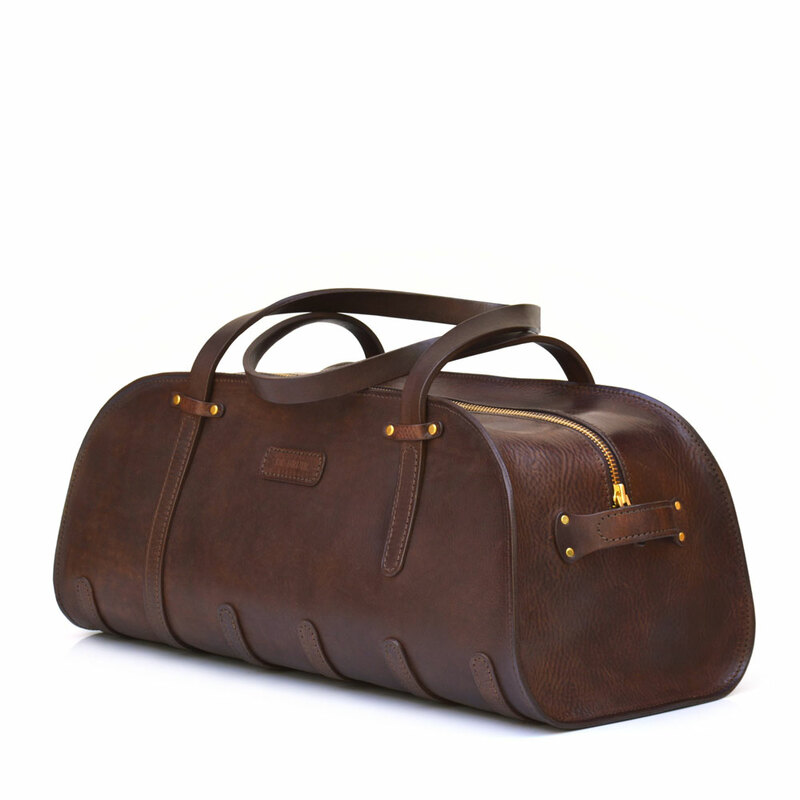 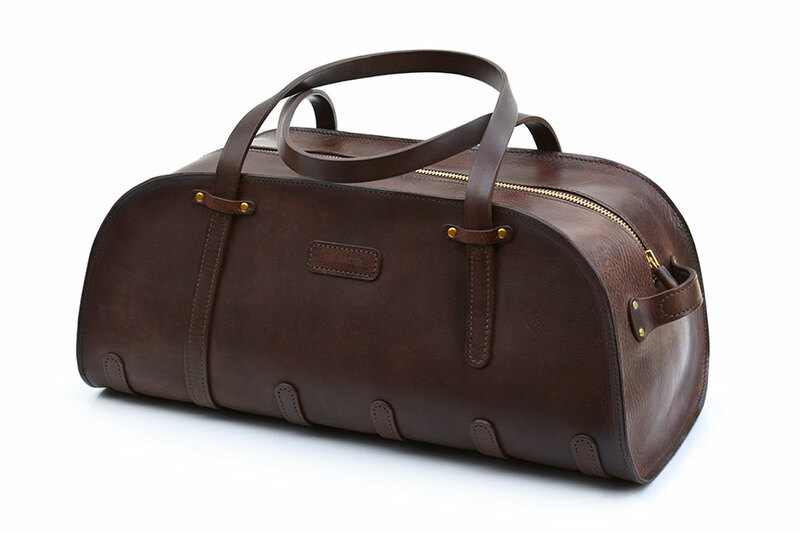 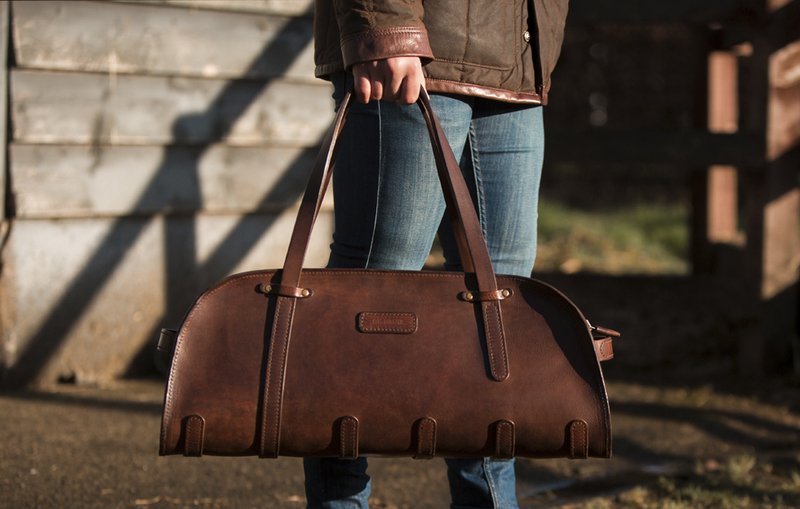 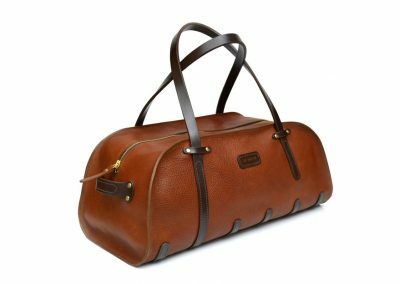 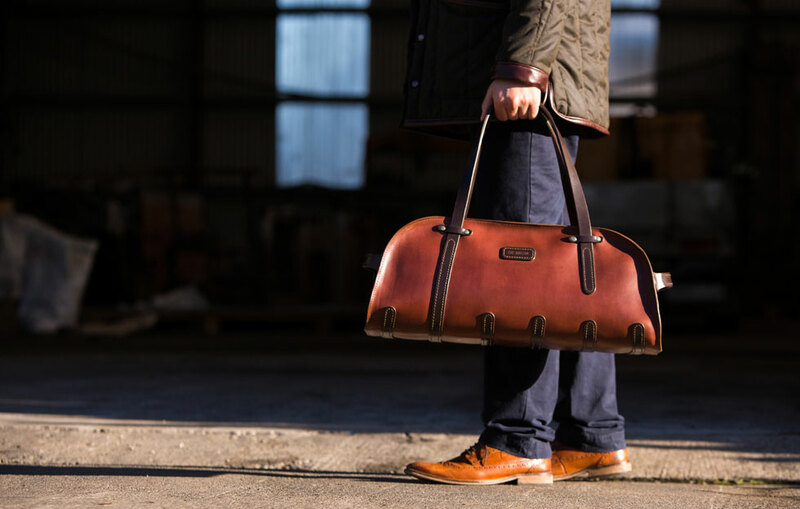 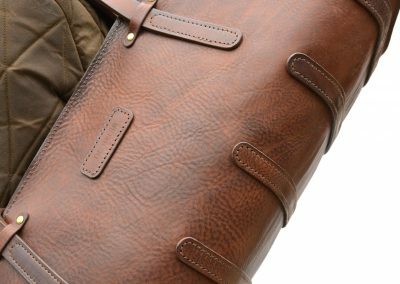 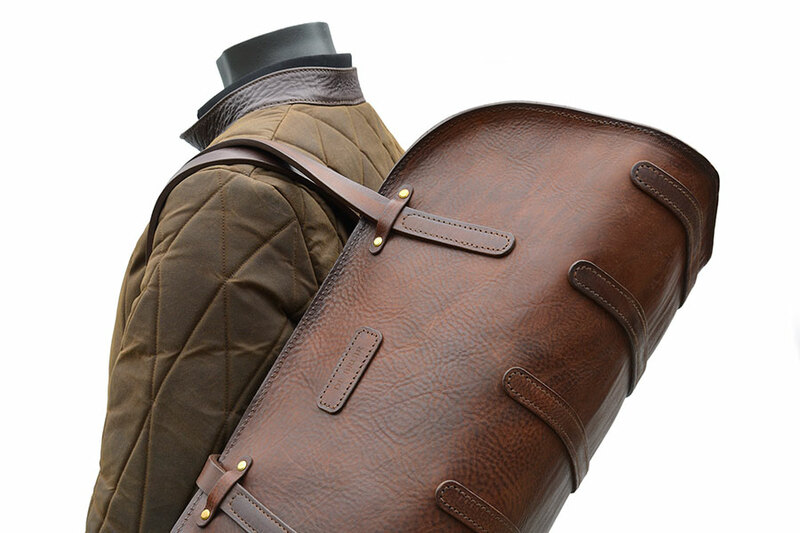 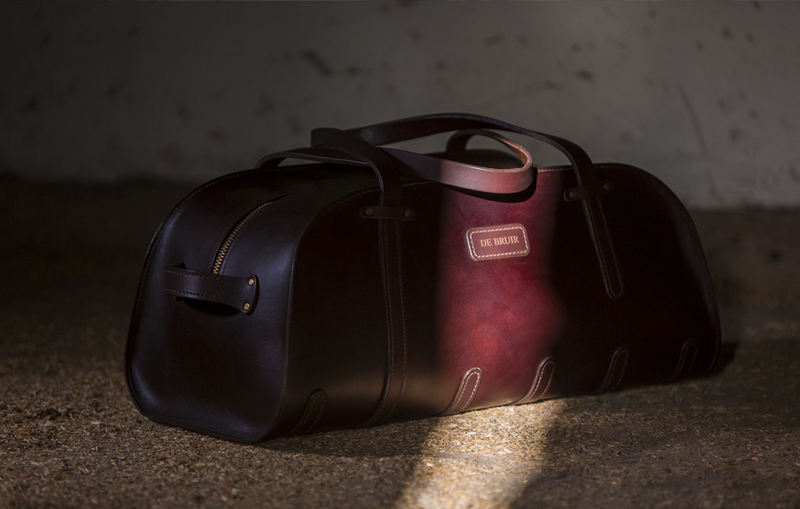 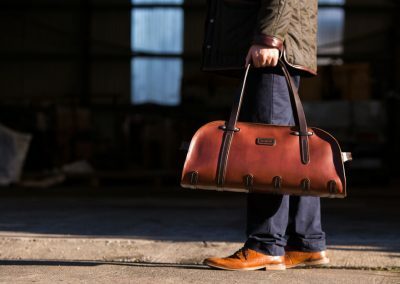 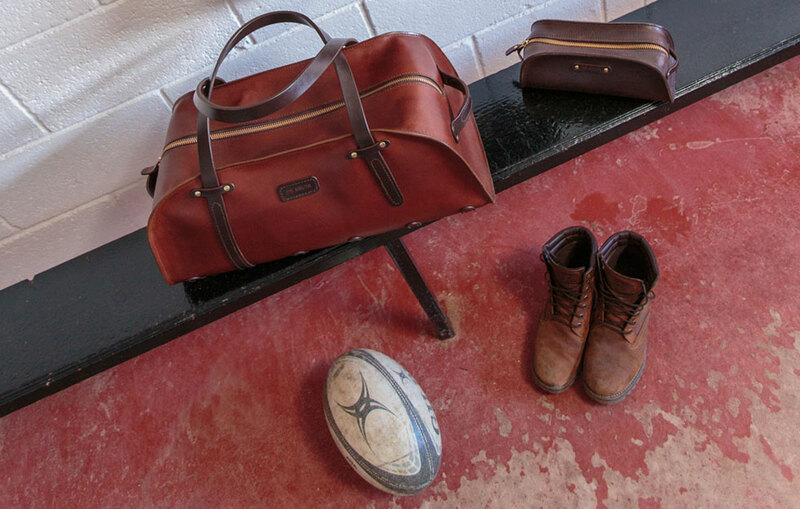 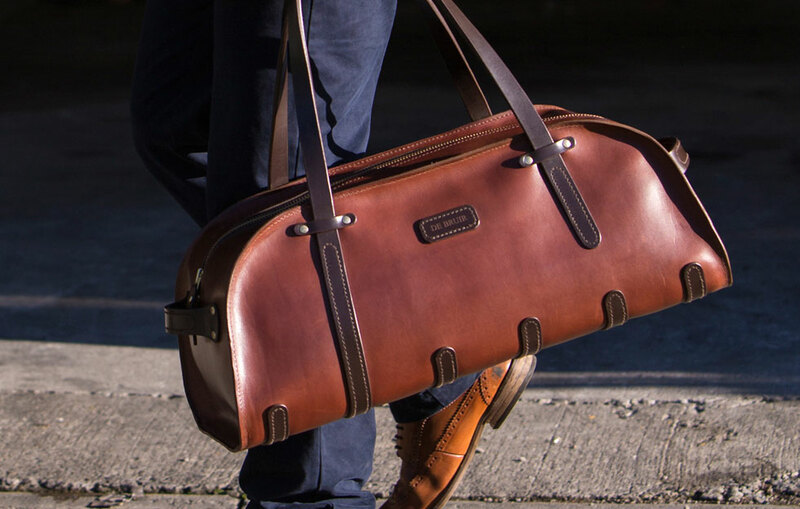 A classic sporting accessory; the Sports Bag is simply and solidly constructed by joining two large portions of leather along one continuous stitched seam. 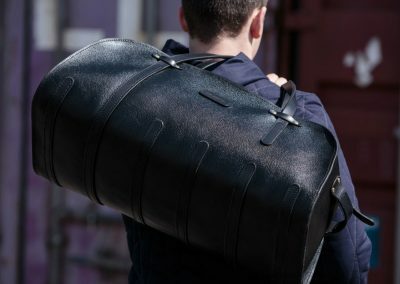 A row of skids extends through to long carry handles allowing the bag be carried comfortably by the side or over the shoulder. 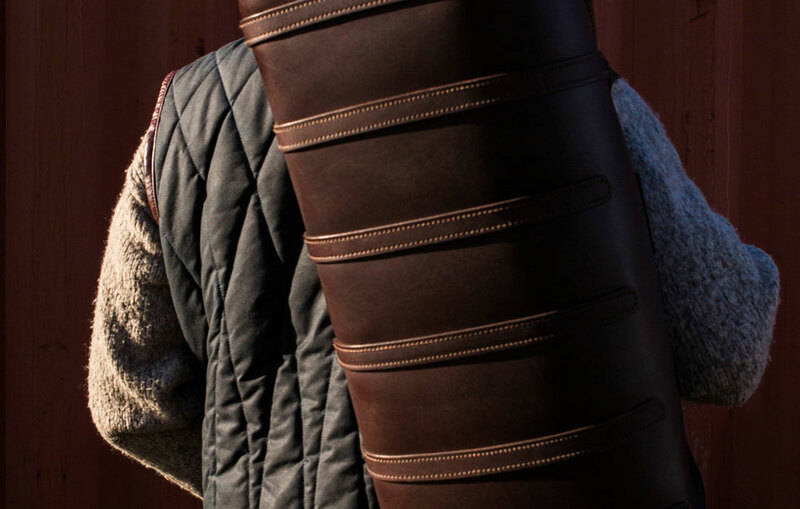 Grip handles at each end facilitate ease of movement. 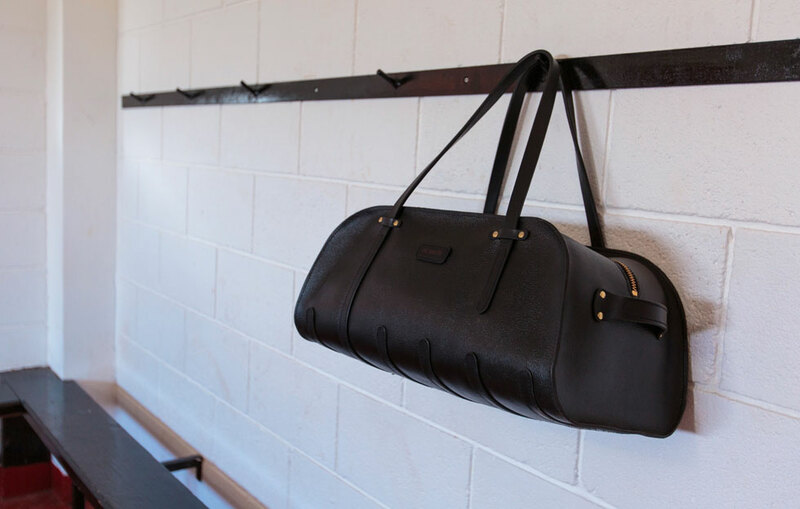 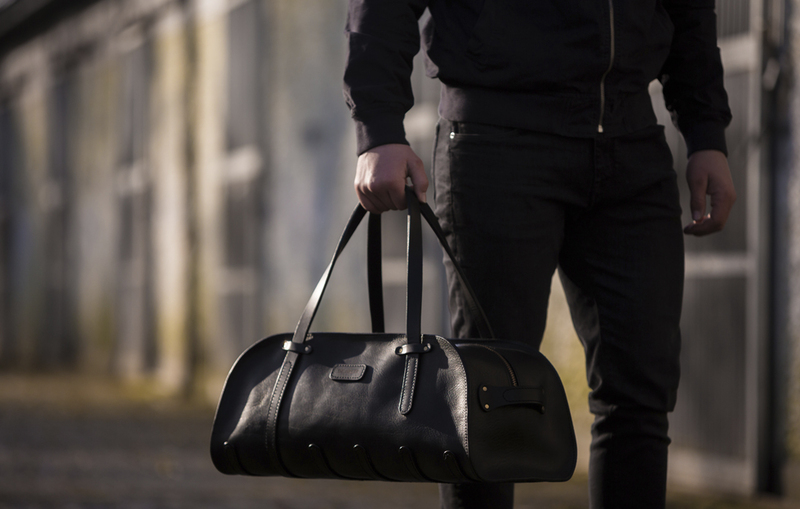 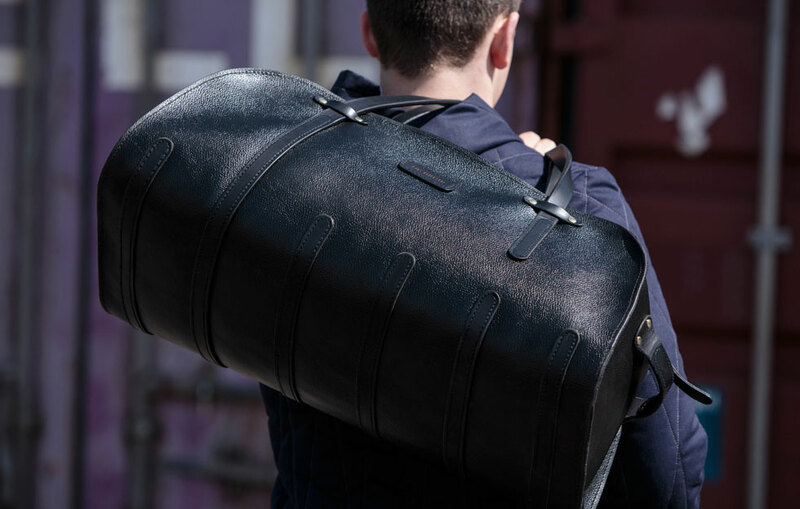 The Sports Bag includes an inner zip pocket and is secured with a high quality YKK brass zip. 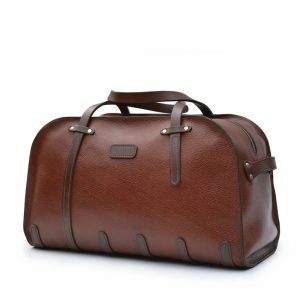 This is a very robustly built bag that suits all travel and sporting needs. 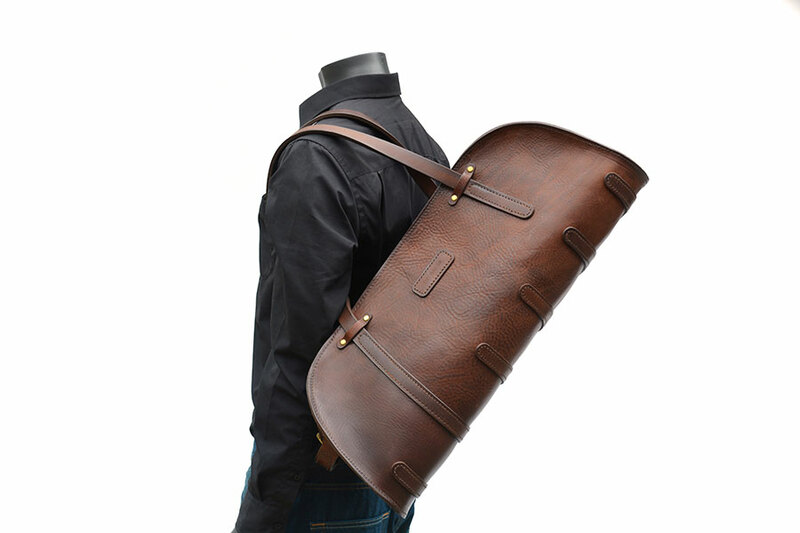 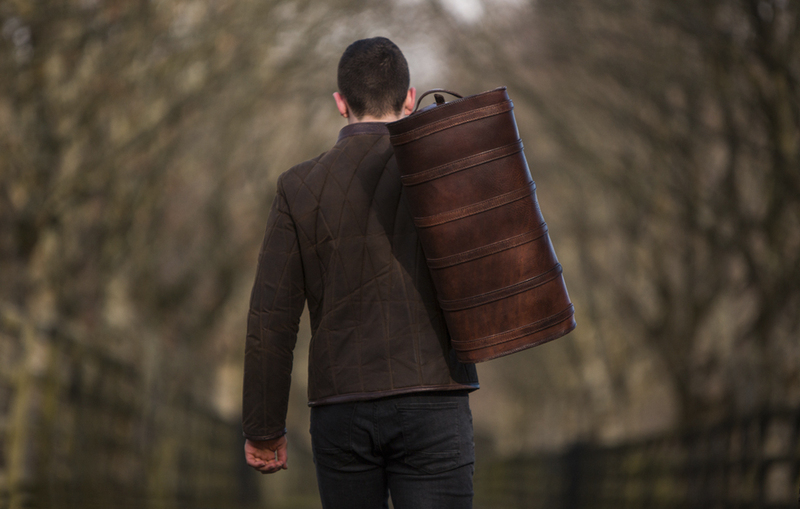 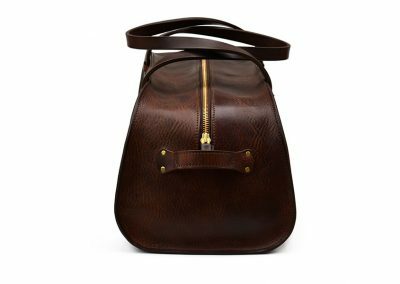 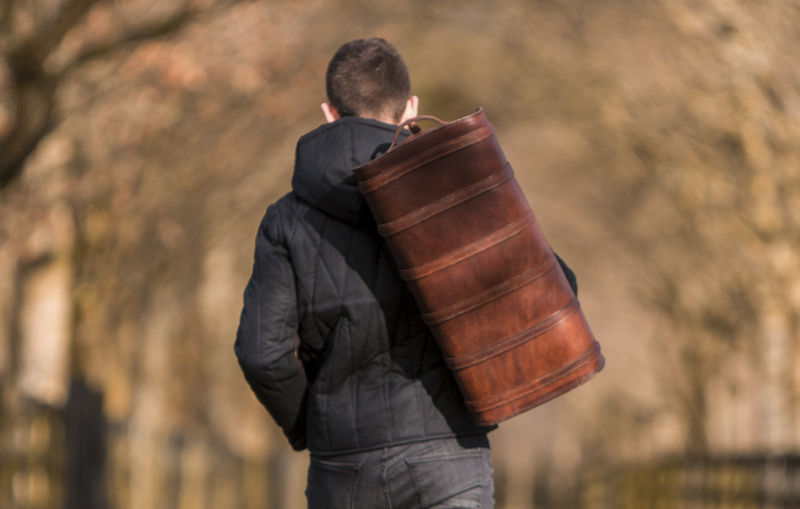 The long handles give it a low slung style when carrying by your side. 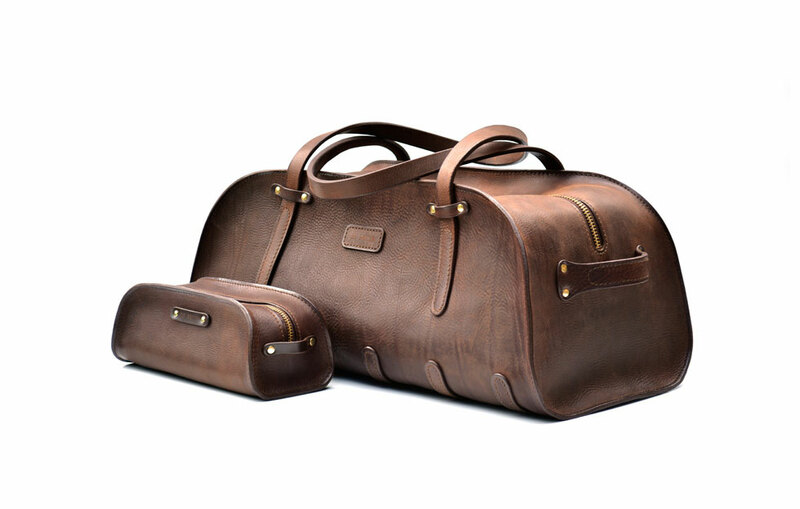 A grab at each end make it easy to lift and store in overhead compartments. 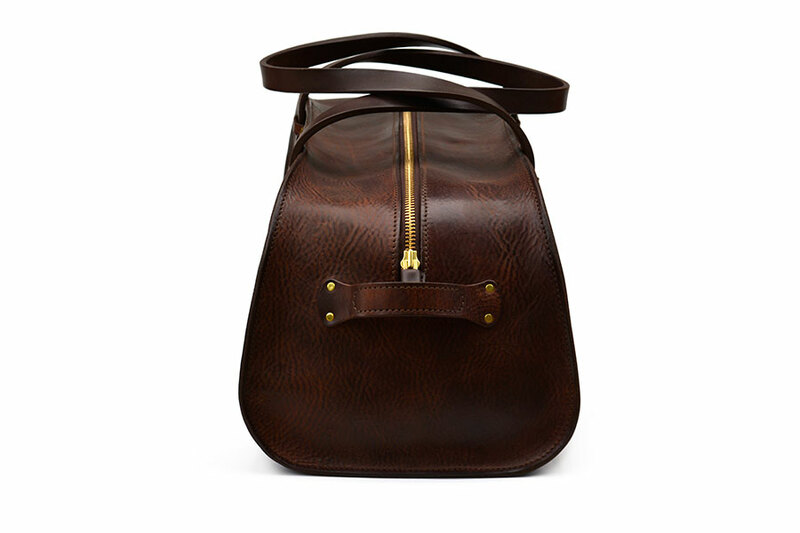 The interior of the bag is left unlined, emphasising the honesty of the construction. 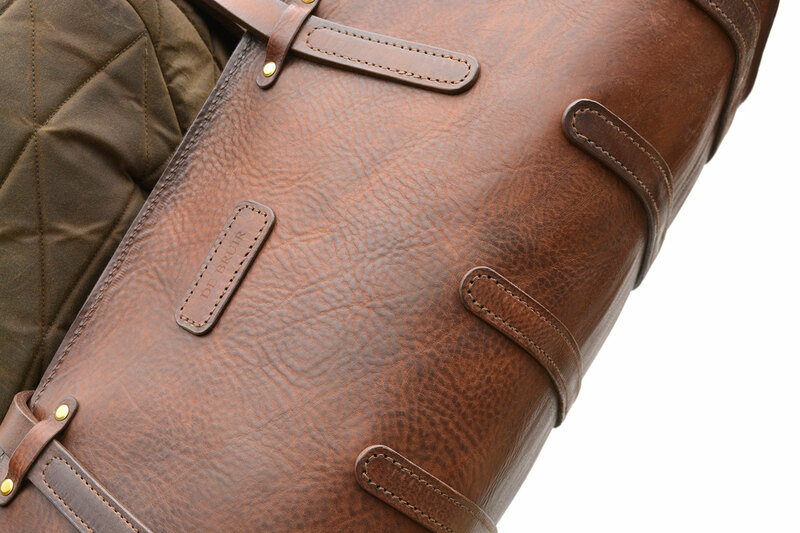 It achieves a very authentic finish and is very satisfying to use. 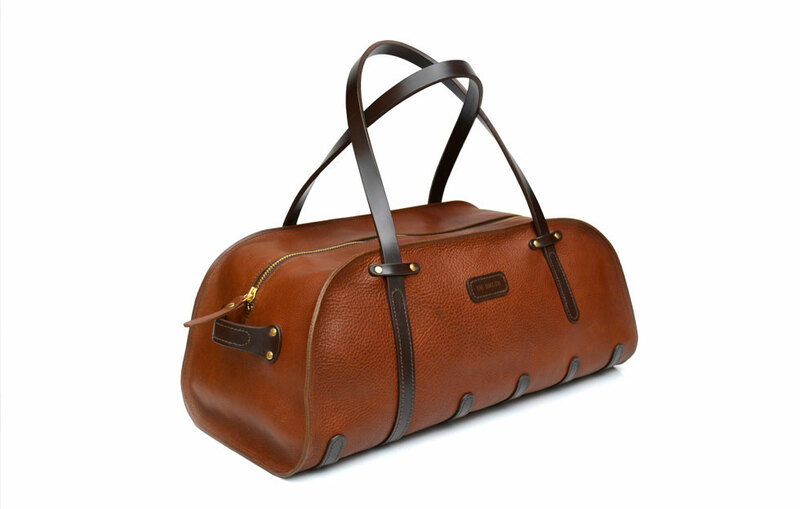 It can be made in firm leather throughout or with a soft malleable leather body with firmer leather on the handles.